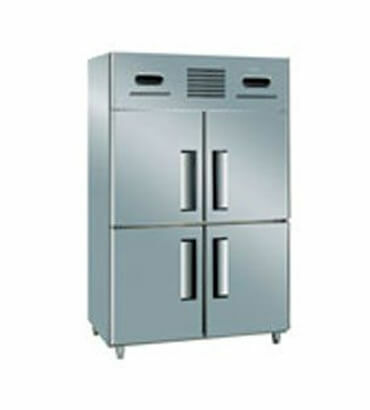 Four Door Vertical Refrigerator & Freezer in India, Four Door Vertical Refrigerator & Freezer Manufacturer & Supplier in India. Four door refrigerator in India is another product well known for its efficiency and effectiveness is produced by Bharti Industries. Our team has designed this product with great expertise for the purpose of efficient cooling of food products and beverages. Four door refrigerator is compact and hence does not occupy much work space. It is fairly durable and immensely efficient. It is majorly used for domestic or small scale commercial purposes.